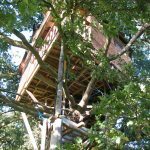 Booking is available for Treehouse Festival 2019. 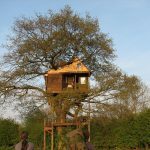 Treehouse Festival is a week long event of green fields camping around an Iron Age round house, getting the opportunity to learn skills that you would never normally get the chance to have a go at. 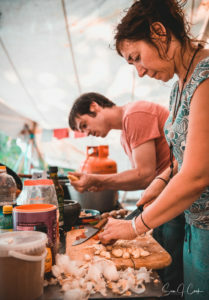 Be part of the creation and eating of some of the best organic vegan and vegetarian food around and be involved in talks, eco building projects, live acoustic music nights and camp fires. There are no demonstrations, every workshop gives you the opportunity to get your hands dirty and have a go. 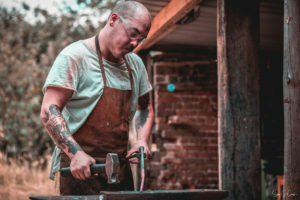 From blacksmithing to green woodworking, glass blowing to weaving, you can come and spend an hour or the whole week mastering skills with the opportunity to continue on when you get back home. There is no extra cost to have a go, it’s all included when you buy the ticket. There are only 100 tickets available for Treehouse Festival because we believe small is beautiful. 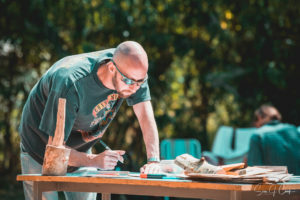 The community that is created by preparing food together, working on a big project or sitting around a camp fire is a big part of what makes Treehouse so great. 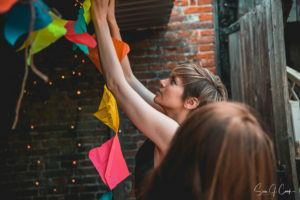 Ideas are shared, skills are taught and laughs are had. 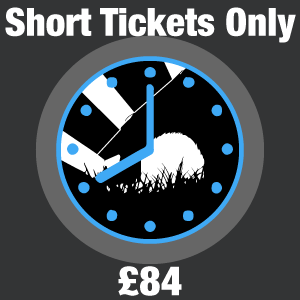 The week is entirely catered for and the price of the food is included when you buy the ticket. 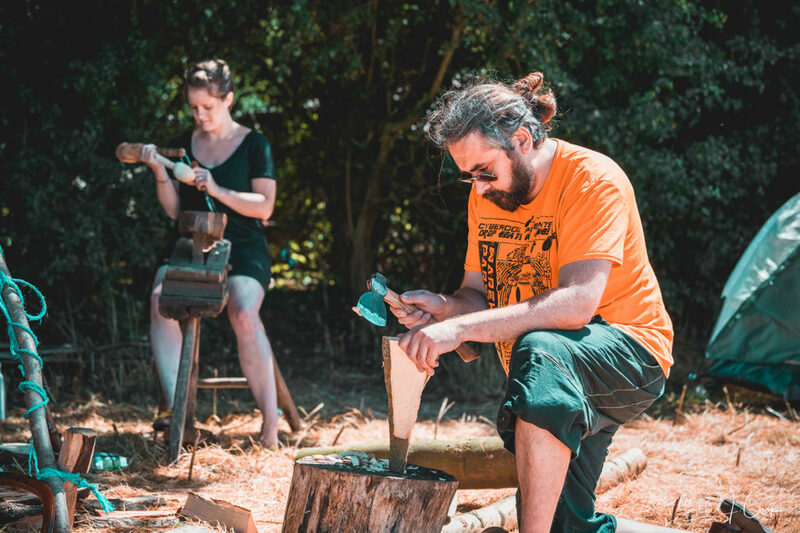 The festival came from a community of people creating a big Treehouse in an old oak tree, afterwards came an Iron Age roundhouse – all made from skills we had learnt at the festival and materials we had gathered from nearby fields (or skips!). 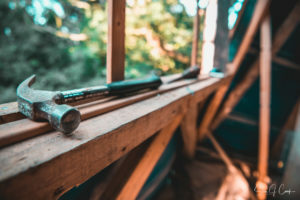 Each year is the opportunity to be part of a big building project using hand tools to create an eco-structure. 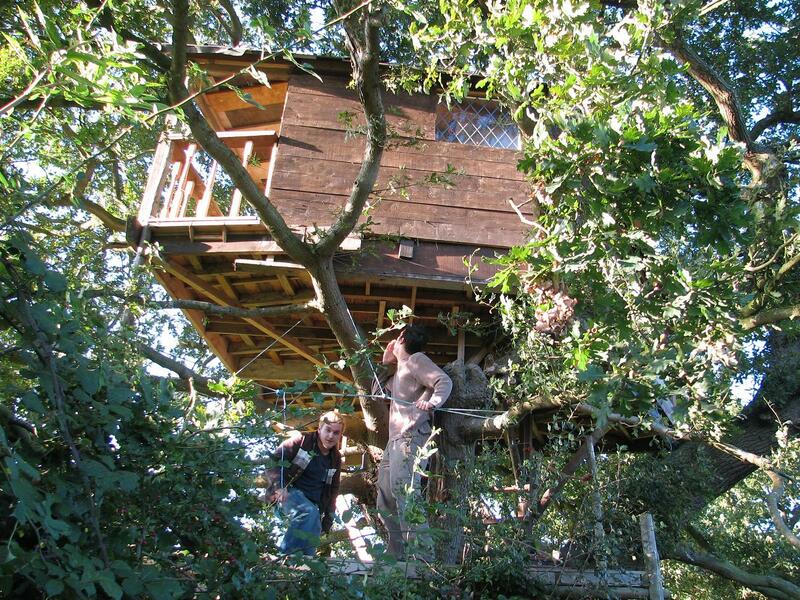 Something that will stay put and become a location for a craftsperson for future years of Treehouse Festival. Andy Bo and Seadog Riggs aka “The Yardsticks” – Come Sea Shanty with me. The art of Sea Shanty. 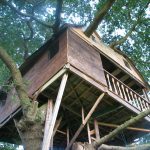 Why is it called “Treehouse”? 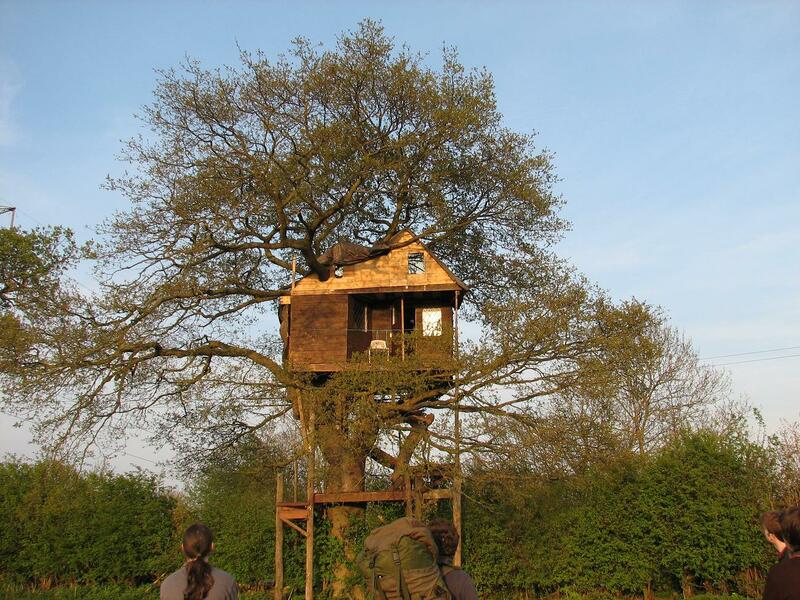 The Festival grew out of a group of friends deciding to build a real treehouse in their spare time. 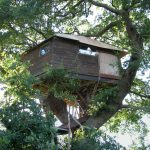 Every summer they’d spend a week or so camping out at Brandon House Farm, working on the treehouse’s spiral staircase, its balcony, or its roof. More friends came along to join in–after all, it sounded pretty fun. 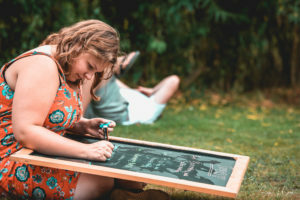 Eventually even more friends came, who didn’t particularly want to build but wanted to enjoy the camping and community spirit that quickly became something very special. 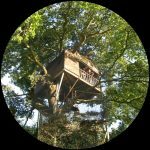 Soon, the week of camping became its own entity, while the magnificent tree house continued to be built and thus the Treehouse Festival was born. 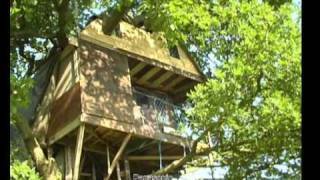 Sadly, the treehouse–made by young people in their own time, with their own initiative; created from entirely recycled materials, a long way from anywhere; that had engendered a sense of community and a can-do attitude in countless young people–was ordered to be removed by the South Norfolk Council. Rather than mourn its loss and change the name of the Festival, we decided to keep the name and let the Festival be a celebration of our departed treehouse, and the special community spirit it brought us. There is a page with everything you need to bring. This also gets email out when you book in. Yes children and families are welcome. 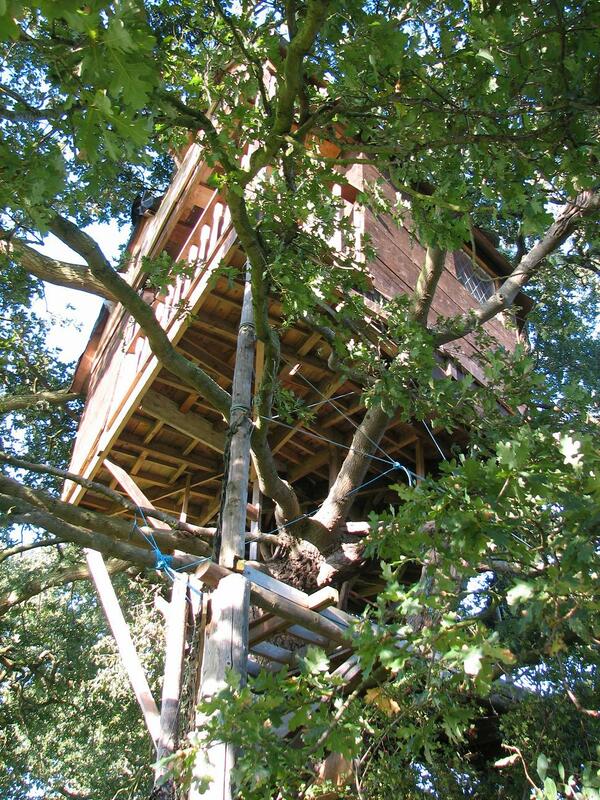 In fact this year we are planning on running a forest school each morning for children over the week. Unfortunately dogs are not allowed (the resident farm dog doesnt like other dogs! ), but email us about other animals. 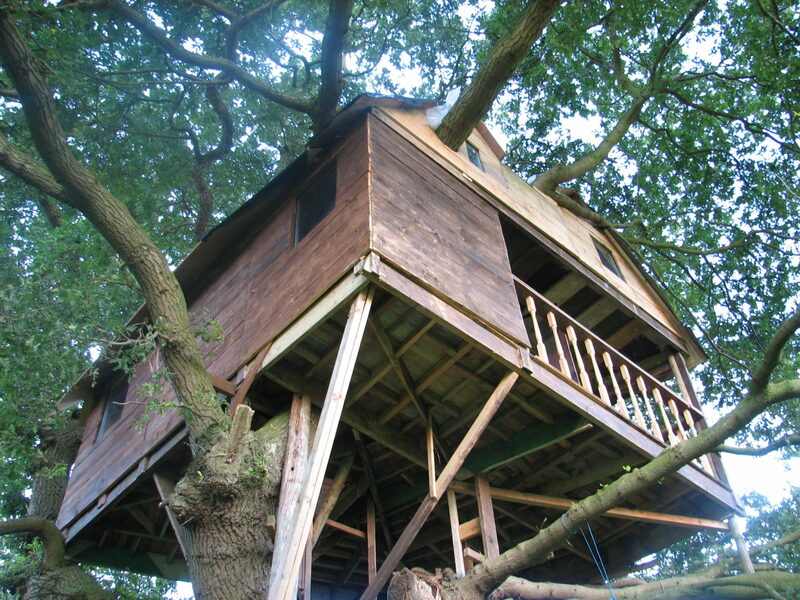 Its £149 at most for the week, fully catered. 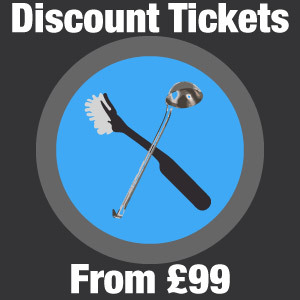 There are limited discount tickets if you do jobs like washing up, and concessions for children. Can I bring a Caravan, Campervan or similar? Yes thats fine. 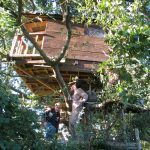 Though we encourage interesting and magical caravans if you have one. There isnt any electricity or water hookup directly, though there are taps nearby. Can I come for just the weekend?